You may stay there if you want to see Suva and move around. Couple of days is enough. 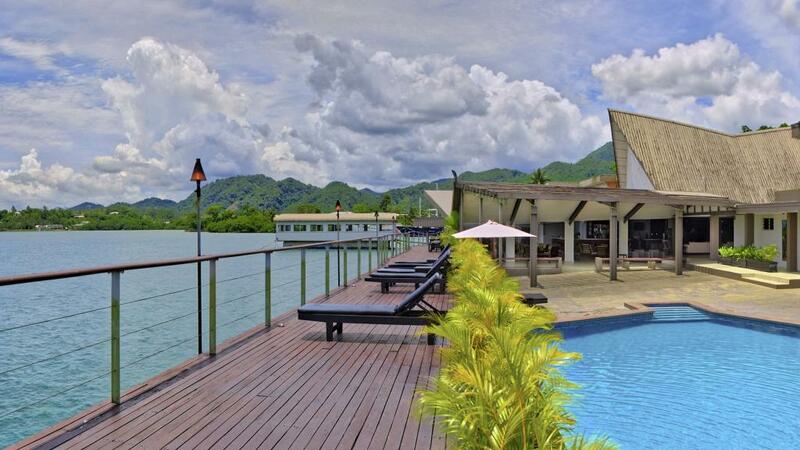 The Novotel in Suva was in the most picturesque location on Lami Bay with crystal clear waters and beautiful views of nearby uninhabited islands. The rooms were small but modern. We had a lovely view of the bay. The pool, bar and restaurant overlooked the bay and you were able to see and feed the coral fish which was amazing. The food at the restaurant was ok however my husband got food poisoning from eating the noodles there. The spa was very nice and relaxing. Overall I would recommended the Novotel for a short stay while in Suva. Would like to have stayed when their services where intact. Post Fire has limited food options so my rating there is compromised. Overall they did a marvellous job to cope and the service was friendly, efficient and well worth the trip.